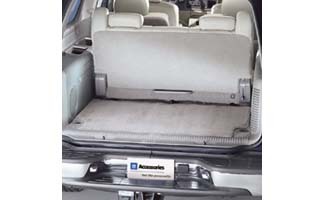 Designed for durability and versatility, the GM Accessories cargo area mat provides interior protection for your truck. The reversible mat features 22-ounce carpet on one side and durable vinyl/ nitrile rubber on the reverse. The carpet and rubber are color-matched to vehicle interior.